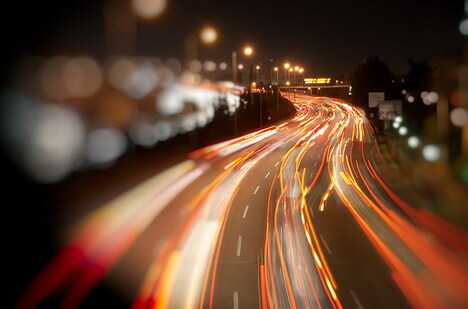 When it comes to blogging the goal is almost always to get more traffic. More traffic means more readers which mean more money. The first way that you can get more traffic is to pay for it. You can pay to put up banners and ads on other sites and even pay to have your site featured at the top of Google’s search page rankings. Every time a reader clicks on the link you pay a certain amount to the advertiser. However this can be very expensive and is usually not something that most small time bloggers want to invest in. Another way to get more traffic to your blog is to follow the latest trend. In SEO there are always new fad popping up offering you the biggest bang for your buck. However most of these fads get filtered out and render the blog unusable. Things like keyword packing, hidden terms, excessive linking and more can bring punishment to your site instead of the traffic you were hoping for. The best way of getting and keeping traffic over the long term is by going organic. Unlike paid advertisements or gimmicky fads, building up your blog’s traffic organically is not a fast fix. However if you are looking for a slow build that pays off in the long run than going organic is definitely the way to go. Think about it like the story of the tortoise and the hare. Sure the tortoise was slow but he made it to the finish line first. Organic traffic building takes a while to really get rolling but it pays off in real traffic and long lasting results. One of the first things you should think about when it comes to organic traffic is to have a goal. How much traffic do you want? Who do you want to target? How big can your blog get? Why do you want to make your log more popular? What are you selling? We are all selling something. It might be a product or a service, it might be information or it might be that we want readers to click on the ads and make us some money. Once you know your goal you can better plan how to reach your intended audience and make the most of your effort. Like an archer who doesn’t aim, you will not hit the target if you just go about it willy-nilly. Keep your blog focused on a specific niche for the best results. If you pick something too specific you will limit your audience, but if you go too broad you will alienate them. Try to find a happy medium and make your blog focused enough to be interesting but broad enough to appeal to a wide range of readers. Once you have a goal in mind, do your research. Find out who your target market is and what they want from your blog. Are they looking for recipes or recommendations? Craft ideas or quick fixes? Style advice or the news on the latest gadget? Depending on what your target market wants you can adapt your site to fit their needs. You should also look into what they are searching for. Keywords and phrases should be included in your blog posts so that your blog shows up in search results. However packing them in is a no-no. Instead, just use the keywords and phrases as inspiration for your blog posts. They will come into your writing naturally once you know what it is you need to include. There are many sites online that offer help in finding out what you need to work on in your blog. Some of them even offer their services for free, which is a great deal for any blogger. Once you know what you will be writing about you should create a schedule of update times. Readers like it when you update at the same time every day, every few days or every week. The idea is to keep readers interest by providing up to date information at known times. The more often the better because search engines also look for how often you update. They like the newest info too and feature updated blogs far more than ones that have been left sitting for weeks. I recommend updating at least three times a week, but every day or several times a day is the best idea. When I talk about updating a lot you may think that there is no way you could write that much and you would be right. If you treat each blog post like a novelette you will wear yourself out trying to write that much. Instead, keep your blog posts short. Writing a blog post around five hundred words is usually a good goal to have. That length allows the search engines to use your blog without overwhelming your readers. No one wants to read pages and pages of your writing all at once. Instead break it up into smaller posts. You can even do a blog series, like steps. Step one, step two and so on. If you do not want to keep your blog posts so short than you can break it up within the post. Use headers and bullet points to make a blog post easier to read. You can also break up your paragraphs into smaller, more manageable sizes. Another way to break up a long blog post and get more traffic at the same time is to write a list post. List posts are very popular with readers and search engines alike. Because list post have numbers associated with them they give readers an idea of how long a post will be before they ever choose to click and read. List posts are also among the most searched terms for many keywords. “Ten Things” or “Top Ten” are very popular search terms. Combine that with your blog’s top keywords and you have blogging gold on your hands. Like I said, readers choose to click and read a blog often by the title alone. That is why it is so important to make sure your titles are very clear and include the keywords your readers search for. Keep the titles short, under ten words, for the best effect. You can also include numbers like I mentioned and name recognition works well. Names like Twitter and Facebook, Batman and Cher, Coke and Chevy all work well in titles because people are drawn to names they know. If you can make a connection between your blog and a well-known name then you will get more traffic. Last but not least you should keep up appearances. How your blog looks is important to readers. Make sure your blog is easy to read and easy to navigate and all your links or pages work. Then you should spruce it up a bit to attract readers. Including images, infographics or videos in your posts make readers more likely to stop and check it out. You know what they say; a picture is worth a thousand words. Add images to your blog to draw readers in. The brighter, funnier, or prettier the picture the more readers you will get. Make sure the image or video fits in with the topic of your blog post, but adding these images can be a great boon to your traffic. These are just a few ways that you can increase traffic to your blog. Take the time and effort to invest your energy into your blog and it will pay off. Make sure you focus your energy where it is needed for the best results. Happy blogging!